Imagine that you had an important research paper to complete. You sit down at your workstation, fire up Google, and begin gathering information when...Click... the power goes out without warning. If your workstation is a desktop computer, you're completely screwed. If it's a laptop, you're still left completely cut off from the net, and if your deadline is imminent, you're left scrambling. For millions of African net users, this is the daily reality. While Internet connectivity has drastically improved within the continent in the last decade, the Achilles heel of connectivity continues to be Africa's Energy Infrastructure. Power blackouts happen as frequently as several times a day in many Countries, and many rural parts of Africa lack access completely. Solving the infrastructure problems in Africa is a long-term development project that will require massive resources, and even the best estimates of organizations like the International Energy Agency predict that access to electricity will still be a challenge for 42 percent of the population by 2030. So how can African's improve their connectivity today? The BRCK is a rugged, cloud managed, full-featured router with built in failover and programmable GPIO expansion. 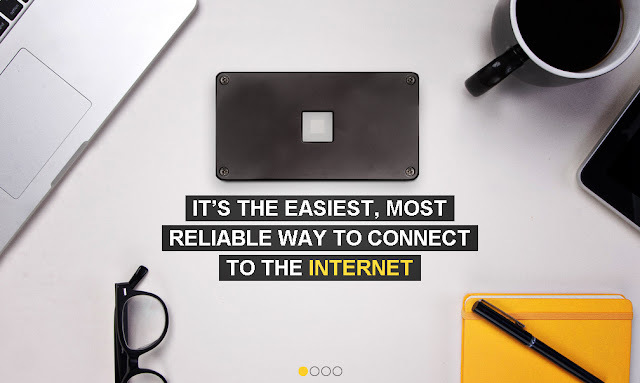 BRCK can connect to the internet through RJ47, GSM, Wifi Bridge, as well as Ethernet Over USB via the GPIO Breakout. It’s rugged build and cloud managed interface make it ideal for “away teams”, monitoring systems in remote locations, and businesses with challenging infrastructure. BRCK’s GPIO breakout provides 20 pins for digital and analouge Read/Write as well as I2C, SPI and UART. This, combined with BRCK’s Arduino Profile (and multitude of other features listed in its specifications), make it ideal for quickly connecting hardware to the Internet of Things. In short, this thing will keep you connected to the Net. Come Hell or high water. For Ushahidi, the company behind the BRCK, the device is a key instrument in their mission to "redesign connectivity for the world we live in - Africa" The company, based in Nairobi, designed the device to be physically robust, able to connect to multiple networks, a hub for all local devices, and to have enough backup power to survive a blackout. 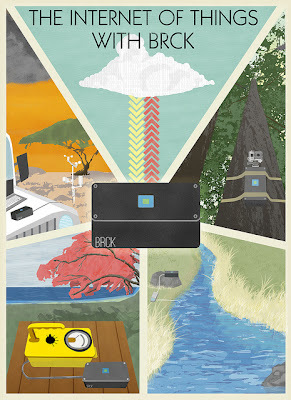 Clearly, the BRCK has the potential to revolutionize the way many people in Africa use technology. With reliable and robust connectivity and power, the previously struggling web designer or coder will now have the ability to contribute to the net in earnest. In the next decade, Africa's economy will grow considerably. Products like the BRCK, designed to withstand the pressures of the African Desert and Jungle, offer what I think will become a new 'African Certified' standard for rugged, dependable and innovative products in the future. All kinds of jobs require steady connectivity, even when infrastructure is spotty due to wireless connections, intermittent power, or devices that can’t share connections. For all those jobs, the answer now it seems, is to 'Buy African'.